Now that the first London Design Biennale is over, we take a look at Norway’s contribution, Reaching for Utopia – Inclusive Design in Practice, and find out why inclusive design is an idea the world needs to know about. Throughout September, London’s Somerset House played host to 37 countries all responding to the theme of Utopia by Design. Contributions varied wildly from the conceptual (Albania’s Bliss – “a concentric arrangement of stainless steel columns and benches designed to encourage self-reflection and solidarity”) to the emotional (France’s Le Bruit des Bonbons — The Astounding Eyes of Syria shared memories of Syria through film) to the downright surreal (Cadavre Exquis: an Anatomy of Utopia was Poland’s 3D version of the children’s game ‘consequences’ first introduced by the Surrealist movement). The country that seemed to have taken the brief most seriously was Norway. And perhaps that’s because the nation is taking the idea of using design to create a better world seriously. 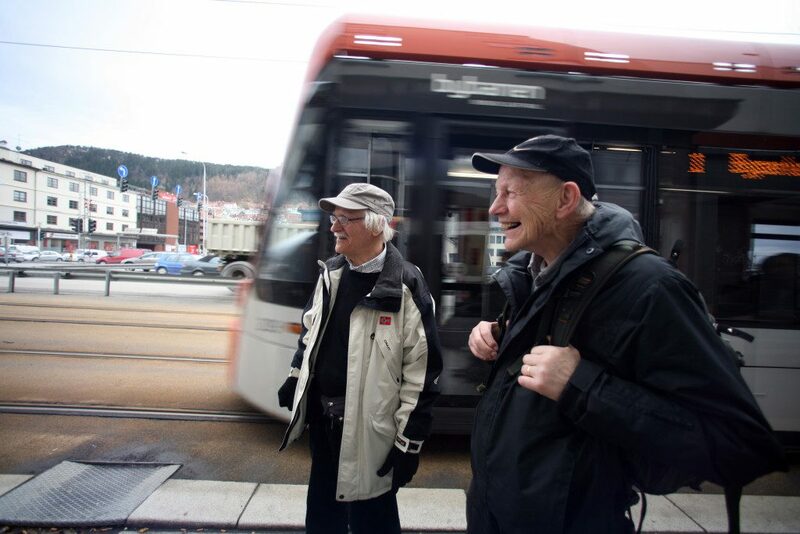 In 2005, 16 Norwegian ministries signed a binding action plan based on the government’s vision for Norway’s entire infrastructure to be created according to the principles of ‘inclusive design’ by 2025. “We have to keep the momentum now that we are halfway there,” says Åse Danbolt of property company Statsbygg – the government’s key advisor in construction. “This requires systematic work, clear governance and goals and projects that are well anchored at management level.” Reaching for Utopia – Inclusive Design in Practice showcased a number of such projects already delivering lasting social benefits. While this might all sound like hard work, feedback from those who have been involved suggest that it’s often the source of creativity. “Far from being restrictive, inclusive design is actually a real driver of innovation,” says Liv Haugen, Chief Medical Planner of St Olav’s Hospital – one of the case studies in the exhibition and the first hospital patients have had a hand in designing. 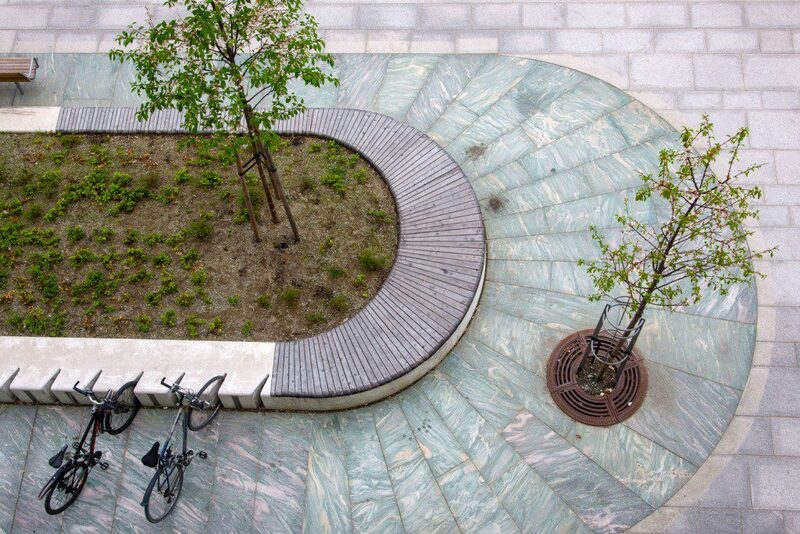 Insight from first-time wheelchair users that they’d rather encounter uneven terrain within the safety of the hospital grounds led to the creation of rocky paths for them to practise on – something that landscape architect Trond Heggem says he never would have thought – or been bold enough – to include without their input. 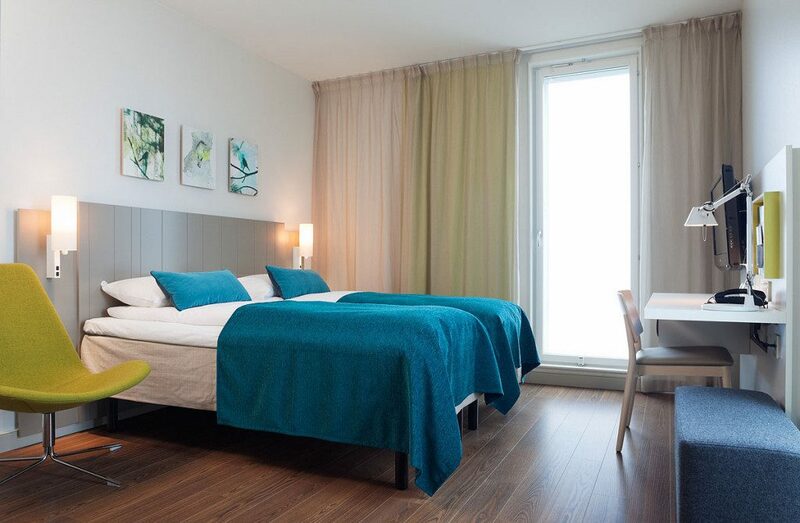 Another case study in the exhibition was the Scandic Hotel at Oslo Airport. Ever since one of their chefs became unwell and realised how ill-equipped hotels were to deal with disabilities and allergies, inclusive design has been at the heart of the Scandic’s design ethos. The Norwegian chain now has a 135-point plan, which all new hotels adhere to. All rooms are entirely allergy-friendly and welcoming regardless of cognitive or physical abilities. Larger rooms for wheelchair users double up as family rooms with fold-down bunk beds – and children enjoy many of the features originally designed for wheelchair users such as lower peepholes, hooks and hanging rails. So far, so idealistic. But as Norwegian Centre for Design and Architecture (DOGA)’s Onny Eikhaug, says, “Inclusive design is not just about good intentions, it is also about good business.” A common theme when you talk to people who have been involved in inclusive design is the unexpected benefits they see. The Scandic is a case in point. Allergy-friendly rooms have reduced staff sickness, accessible spaces are quicker to clean, and the wheelchair- / family-friendly rooms are so profitable they can’t build them fast enough.